Hope your first weekend of 2012 was a good’un. Did you make any resolutions? Sounds like a doable list, eh? I hope. 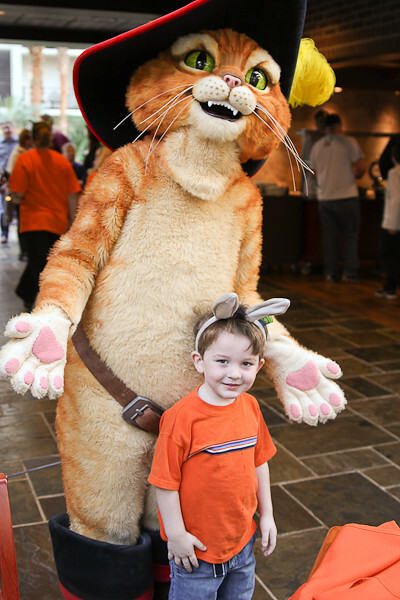 We spent our weekend at the Opryland Hotel in Nashville meeting characters from Garrett’s favorite Dreamworks films. 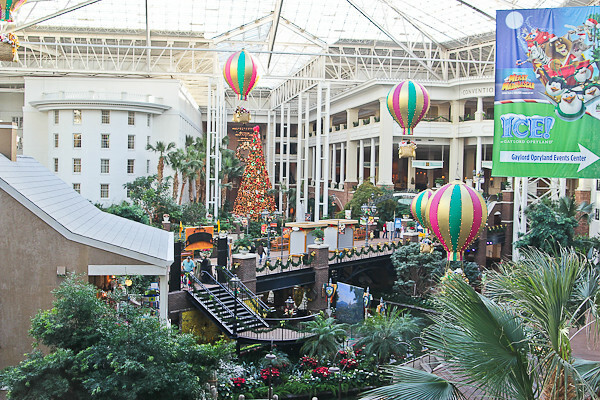 I’d never been to the Opryland Hotel before, but I would most definitely go back. Like, in a heartbeat. It was AMAZING. One thing I noticed was that every single hotel employee that we encountered was nice. And not fake nice. Nice in a genuine kind of way that made you feel welcomed and loved. We’ve been on so many vacations where the workers are rude, so this was a breath of fresh air for us. True southern hospitality. It was GREAT. Plus the hotel is huge, with multiple atriums so almost every hotel room looks out onto a beautiful view. Our room was overlooking the Delta atrium which has a little downtown area with shops and restaurants. There was a river running through it where you could spend the equivalent of a tank of gas for a 15 minute boat ride. My favorite part of the room was the LIGHT. The diffused light that streamed through our windows made for some incredible photos. I wonder if we could build ourselves an atrium instead of a new shingled roof when the time comes for a replacement? I’d be ecstatic for natural light like this in my house. At night the whole place was lit up with strings of Christmas lights. Just beautiful. The Conservatory Atrium had a skywalk where you could look down into the gardens below. Very tropical and lush. Walking through it I kinda expected to see Adam and Eve jump out from behind a palm tree, except wearing a little more than fig leaves since it was pretty chilly. 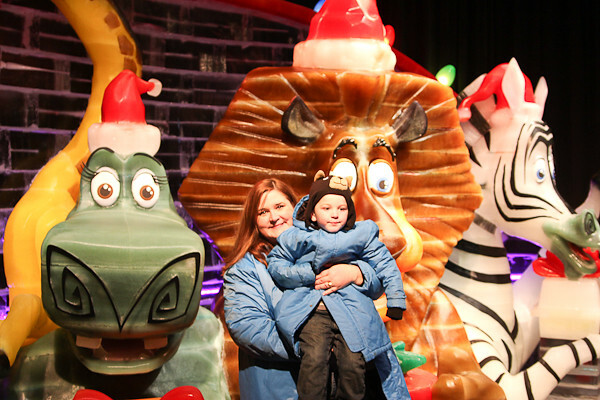 Speaking of chilly… We toured the Merry Madagascar Ice carvings inside a 9 degree meat locker. Garrett liked seeing all the characters carved from ice but wow, was it cold! They gave everyone parkas to wear but of course, being true Southerners, we didn’t have any gloves with us. After about 2 minutes into it I began to feel like an ice carving myself. At one point I couldn’t feel my thumb on my camera snapping hand. To anyone who goes to see this in the future– wear gloves. Your digits will thank you. At least my son was wearing a hat. 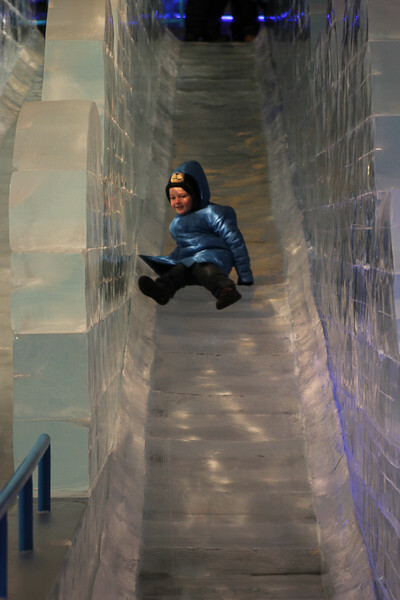 His favorite part was the ice slides at the end. I made J slide down with him while I stood safely at the bottom and took pictures. I think he felt like one of Mr. Popper’s penguins on this thing. After we exited the meat locker my thumb started to thaw out and my camera defrosted so I got some shots of G meeting the Madagascar penguins. I don’t understand how actual penguins do it with their thin little layer of hair. I watched the documentary that Morgan Freeman narrated. I should have listened closer when those little birds were huddled together in -50 degree arctic temps. How the heck do they not all freeze to death? Things that keep me awake at night. This was the last weekend that this exhibition was open, so they had all the merchandise in the retail shop at 50-75% off. SCORE. We got G an Alex the Lion jacket that had paws, a mane for a hood and a tail. He also wanted a pair of donkey ears. Every other kid we had seen up until this point was walking around with Shrek ears. Or Fiona ears which were just Shrek ears with a tiara between. 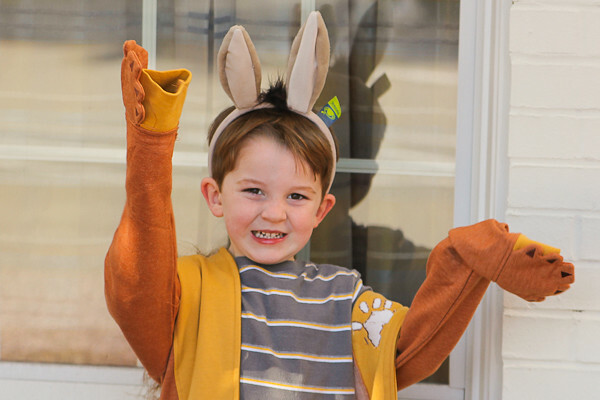 But my little nonconformist kid insisted on buying the Donkey ears instead. He was the only kid I saw the entire weekend with Donkey ears. Like I’ve said before, he’s never one to do what everyone else is doing. 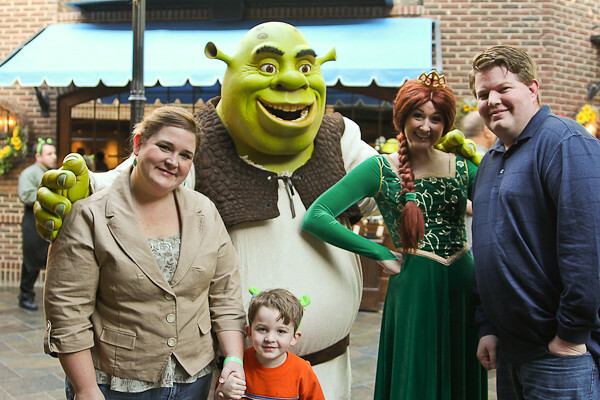 Our vacation package included a ShrekFeast where we got to meet the characters at our table and drink unlimited amounts of Swamp Juice. There was even a chocolate fountain dripping with goo. It was actually white chocolate they had tinted green, but it looked plenty unappetizing. They also knighted Garrett as we entered the place and gave him a free pair of Shrek ears. When I saw that I was glad we bought Donkey ears the day before! Puss in Boots made an appearance and batted at Garrett’s Dunkey ears. Other highlights of the weekend included decorating a gingerbread house with Gingy. Garrett was more interested in eating the candy than decorating a house with it. 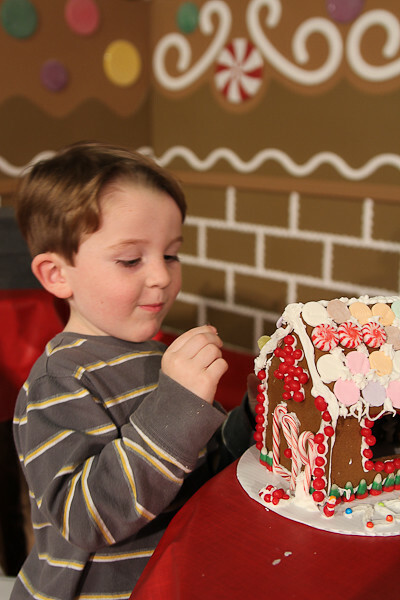 He did help shingle the entire roof in Necco candy and peppermints before he started chowing down on the gumdrops. 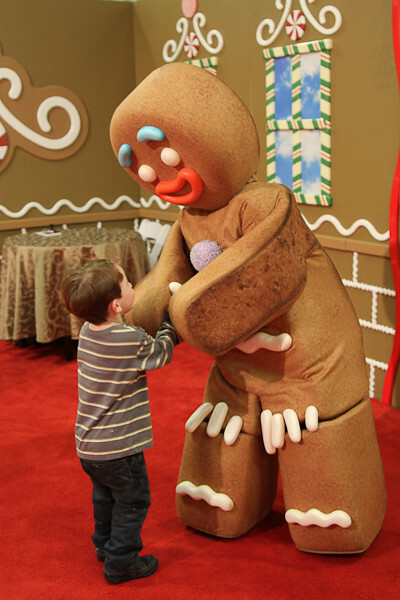 Gingy was one of my favorite characters. His backside looked like a real cookie straight off the pan. Loved it. 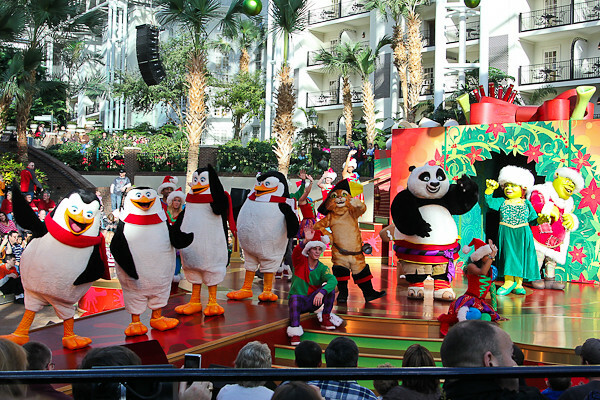 Every day while we were there they put on three shows where all the characters came out and danced and performed. I wasn’t sure why Fiona only came out for the show and not at any other time during the trip. Was she too good to pose for the camera? Yet another deep thought that keeps me up at night. King Julian wasn’t too good for it, Fiona. Don’t be such a diva. And… speaking of divas. Garrett was in rare form on this trip. One minute he was happy and loving, the next he was the spawn of the Devil. He will be turning four in less than a month, and he really is giving me a run for my money with the back-talking and attitude. It’s like he’s four going on fourteen some days. 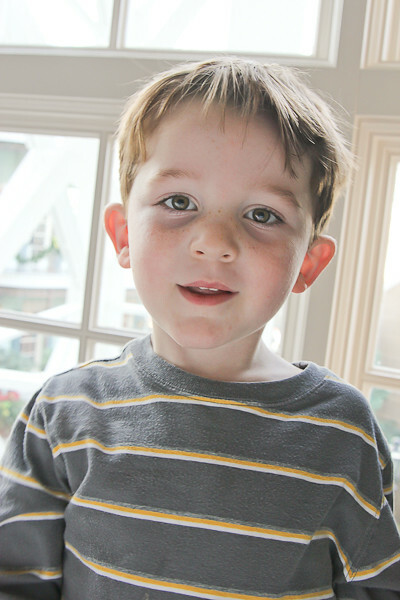 After the terrible twos ended I sang the praises of age 3, but I have a bad feeling about age four. Lord, give me strength to deal with this mini-me version of myself and my father. The donkey ears were appropriate, given how stubborn this kid is. He’s gotten a quadruple dose of stubborn from all sides of his family, so I know he can’t help it, given his DNA. 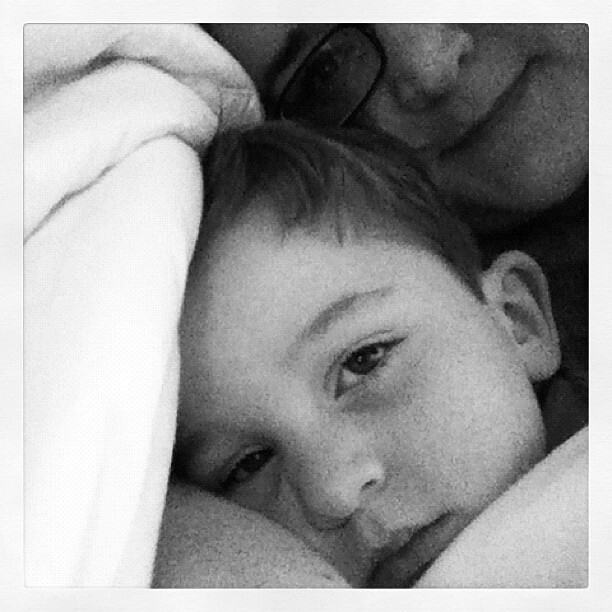 J and I are trying to remember to stick together and be strong and not give into his demands. We are consistent with our discipline, even on this vacation and even when it’s not fun for us. On New Years Eve he got into BIG trouble for giving us major attitude after he had already been put in time out more than once. So, we took him back to the room and called it a night at about 5:00 in the afternoon. Our actual NYE consisted of ordering room service pizza and watching the Auburn game. Garrett was so tired, so he took a late nap and felt a little better. Three year olds just can’t hang on NYE. I will say that he was much sweeter after his nap. That part makes all the other parts easier to bear. I decided to get out of the room alone for a little bit and go see what all celebrations were happening in the hotel. I also figured it would be a good chance to get some night time shots of the lights. There was a fifty foot tall Christmas tree inside this place, which has some serious glow! 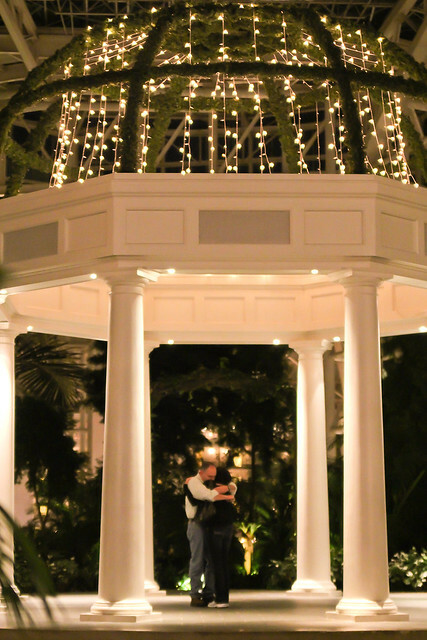 As I was wandering around enjoying the lights and music and some whine-free alone time, I stumbled upon a couple standing underneath this beautiful gazebo all alone. As I walked by I saw the man get down on one knee in front of the lady, and I quickly realized that he was proposing to her!! It was like something from a fairy tale, so I couldn’t help snapping a few photos of them. I wondered for a second if it was weird for me to take photos of their private moment, but then I realized that they would never get this moment back so I decided to go for it. I regretted not being quicker on the draw and taking some of him down on one knee. As they began to walk away I approached them and and congratulated them. Then I told them I had taken a few pictures. I was relieved that they didn’t think I was too stalkerish, but instead were happy to hear that I had captured the moment for them. They were thrilled, actually, to have some pictures of the event. I was so honored to have been a part of their special night and thankful that I was in the right place at the right time with the right camera to document the occasion for them. I got them to take one more photo together, then I got her email address so that I could send them all to her when we got back home. She was so thrilled to receive the pictures the next day that they offered to pay me for my photos! No way could I have ever accepted payment for something so simple. It just reinforces the fact that I love my little photography hobby. I am glad that I’m able to use it for things like this. It makes all those million photos that I need to clean off my camera cards worth it. I LOVE this blog..um I mean I LOVE your blog as a whole, but this one made me smile. I live here in Nashville, and am officially one of your fans. Would have loved to have met for a cup-o-joe. Next time oyu are back in these here parts…just give me a “holler! Oh Yes.. Of COURSE I “Like you” Love your FB page as well! What a cool vacation!! And I may or may not have teared up a little bit reading about our capturing the engagement!! What a fun New Years… need to check into that trip! 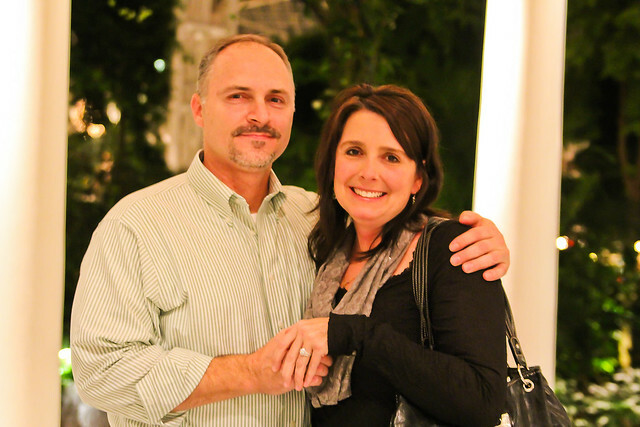 I also teared up reading about the engagement… that was SO incredible of you! Thanks ladies! It was a very cool trip. I’m so glad we did it. They had the ICE thing at all the Gaylord hotels around the country. My parents and sister actually went to the one in Orlando over Christmas. They said it was very similar. How awesome to catch that proposal for them! Happy New Year! 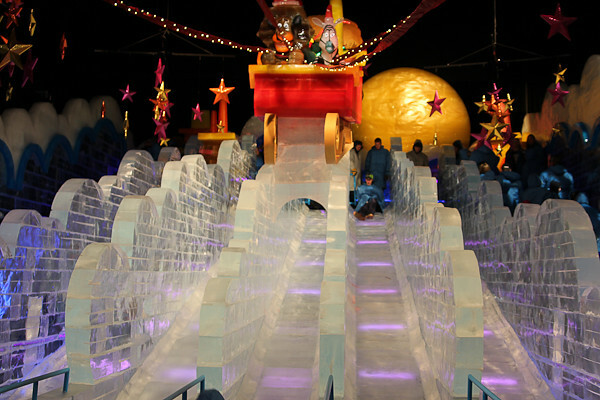 I went to the Gaylord in DC but didn’t go to the ICE thing. It does look very similar to the one you went to. I had to go back & reread just to make sure you’re not in DC too! Loved your pics! Your post encouraged me to book our trip to Nashville this DEC 2012!! Guess where we will be staying?!?! Loved the pics of the newly engaged couple also, that is super neat that you did that!! Oh my gosh!!!! What a perfect weekend (I am shrek green with envy!) 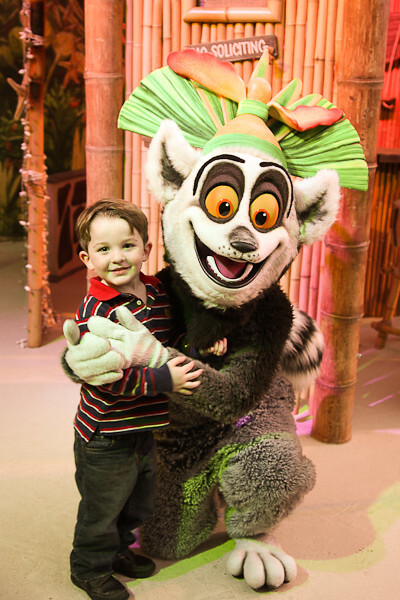 I would have especially liked to have met King Julian!!! He is my favorite! I am just awe struck at how gorgeous everything was and how perfectly timed your photos were for that sweet couple! Happy New Year!!! Your trip gave me a big smile today! We have a Gaylord near us too in Maryland. We went to it as well but we went the weekend of Thanksgiving. It’s a great idea for a New Years trip though! 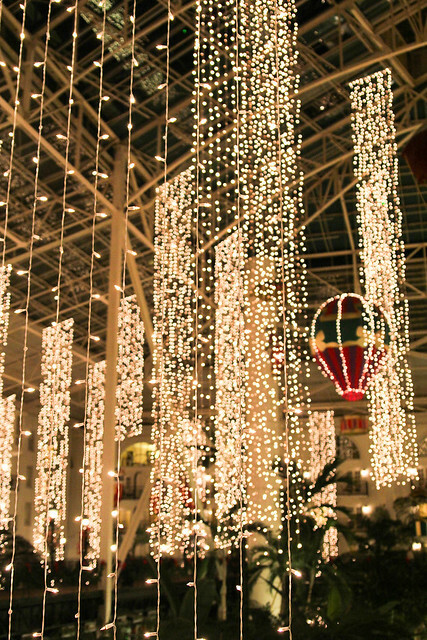 I love the Gaylord there, it looks gorgeous. The concept is the same at the one in D.C. 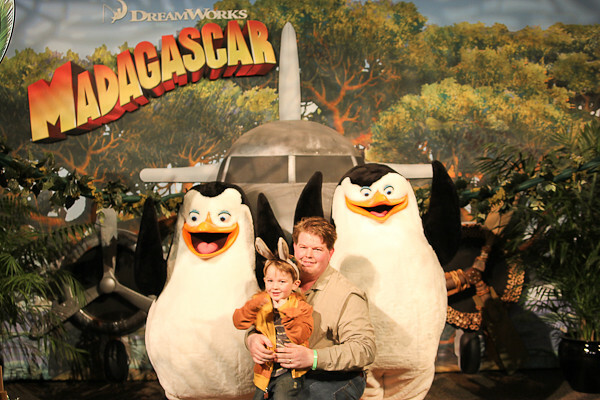 It was a rather expensive weekend trip but totally worth it because our son had so much fun! @L Ng- I’ve heard about the Washington one! I’m sure it was just as good as the one we saw. 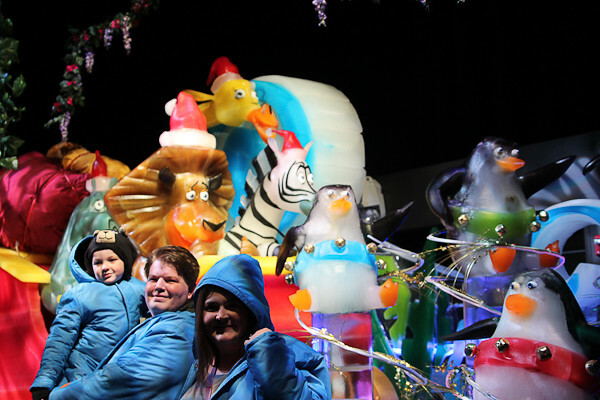 The one in Orlando had actual snow, but anwe didn’t have any at this one. I think they are all similar but a smidge different. It was fun! @Brooke – YAY! You won’t be disappointed. Every single person that we encountered was helpful and super nice– right down to the man who made Garrett’s scrambled eggs for dinner at the buffet. He was supposed to make pasta but we asked for eggs and he made them! 🙂 I was super impressed by the hotel and the staff. You’ll love it! @Bella Michelle- Thanks so much! All of your comments make me smile! 🙂 Happy New year to you, too. You guys are not too far from me, you should check it out next year! Definitely worth it, though. 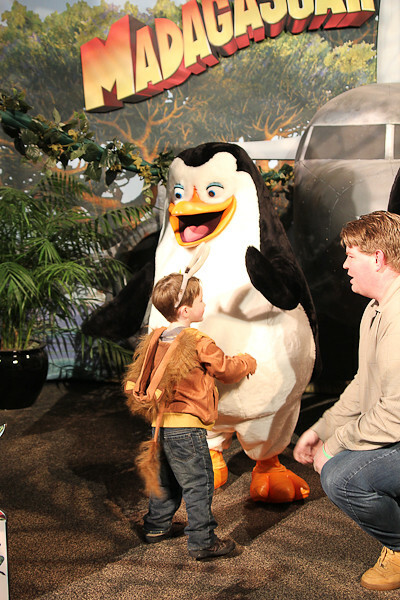 He loved these characters every bit as much as the ones at Disney, and there was literally no line, no waiting ANYWHERE. It was GREAT! And definitely cheaper than WDW. 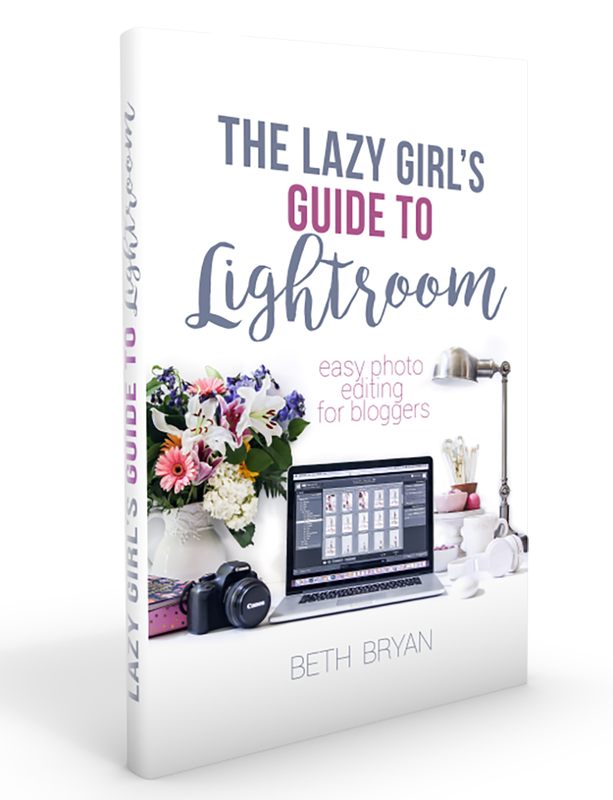 @Vanessa– Thanks so much for the blog comment! 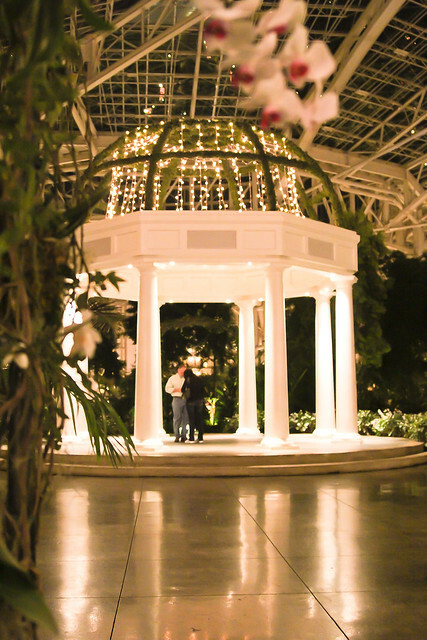 Here are the settings for the engagement pics I took that night. I was using my Tamron 2.8 75mm lens. I was standing pretty far away for the overview shot so I had to zoom a little. All that to say here’s my big secret… When I saw what was happening I quickly flipped my camera setting to “no flash” which is basically auto mode without the flash. It’s a setting on my camera dial, though, not just a button I push. The symbol is a flash arrow with a ghostbuster slash over it. @Dee Anne- Aw, THANK you! You’re so sweet to offer to meet up! We head up to Nashville a few times a year for events and concerts so I will keep that in mind! You’re too sweet! 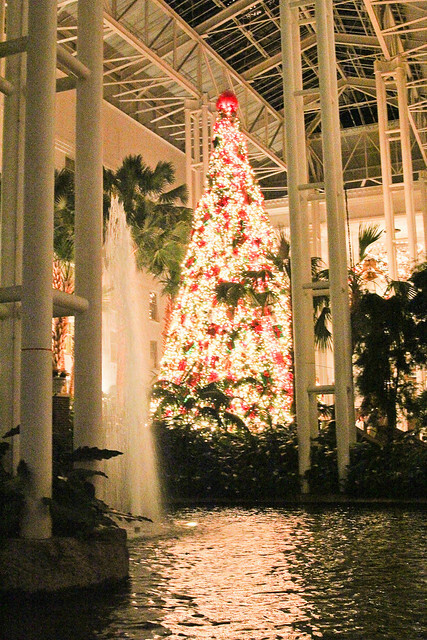 first, i LOVE the opryland hotel and wow, it is even more beautiful at Christmas time. what a cool story of capturing those lovebirds’ special moment, too. thanks for linking up this week! That is SO COOL. The proposal and the fact that you captured it – I love that. 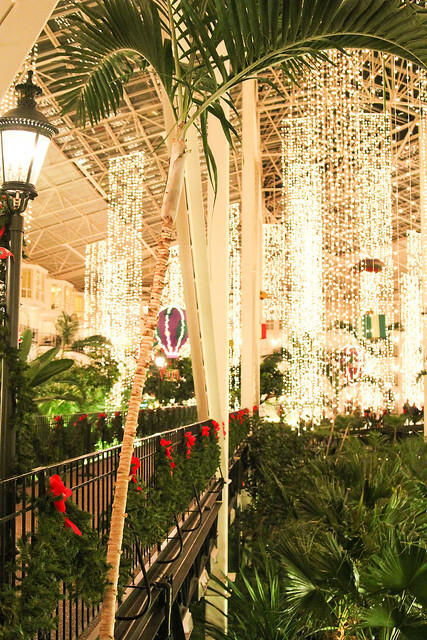 Also, I love the Opryland. I’ve only been there once, but I thoroughly enjoyed it. I loved all the gardens and the water. But, boy oh boy, it’s a confusing maze of labrynths. Looks like a wonderful time for your little guy. What a great memory-maker. Wow, this hotel can easily pass for the Gaylord Texan, in Dallas, they even had Ice Shrek. I too had all my fingers frozen when we were there, very painful indeed. Your son looks just like you, he is adorable. Your photography skill are great by the way. It would help if I read the comments before me 😉 Got it, all Gaylord! Gorgeous photos! What an amazing vacation! Just found your blog via Pinterest. I love this post – so cute about the engaged couple. How fortunate that you happened to be there!